I was so excited when Versona came to me and asked me to go take a look at their Spring Look Book collection. 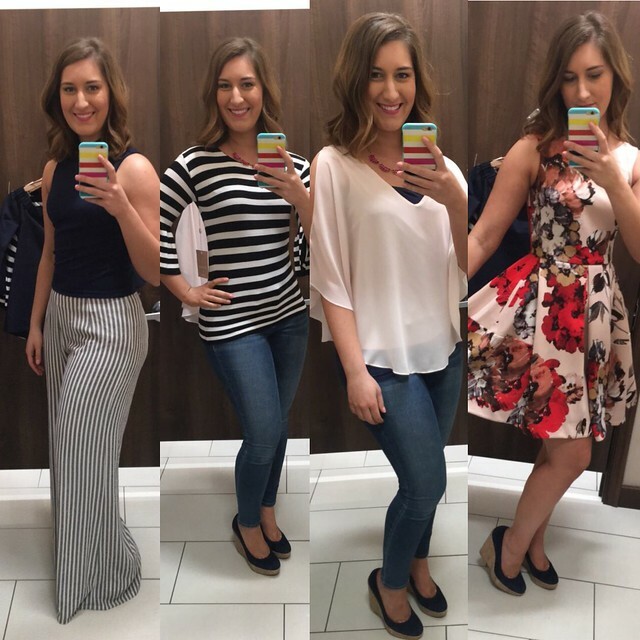 If you have followed my blog for any amount of time then you know that Versona is easily one of my favorite stores and I just dearly loved getting to see all of their new outfits! Choosing just one item was sooo hard! As you can see in the picture above, I was debating between an adorable spring skirt, off the shoulder blouse, a dress some fun pants and a cold shoulder blouse. To make it even harder, they all looked so cute on and felt so comfortable! I tried to take pictures of all of them, but accidentally missed pictures of the skirt and off the shoulder top, sorry! If you follow me on Instagram then you would have seen my Instagram story with all of these outfits a week ago and know how much I was loving all of them! I have so many ways I can think of to wear all of them, but obviously it wasn’t an option to choose all of them (budgets sure can stink sometimes!) but I did end up choosing a piece that I dearly love! After a lot of debate I decided on….. the dress! I am seriously head over heels in love with this dress! I have every intention of wearing it for Easter this year. It has that classic, vintage silhouette that I am such a fan of and the floral pattern is just perfect for this time of year. 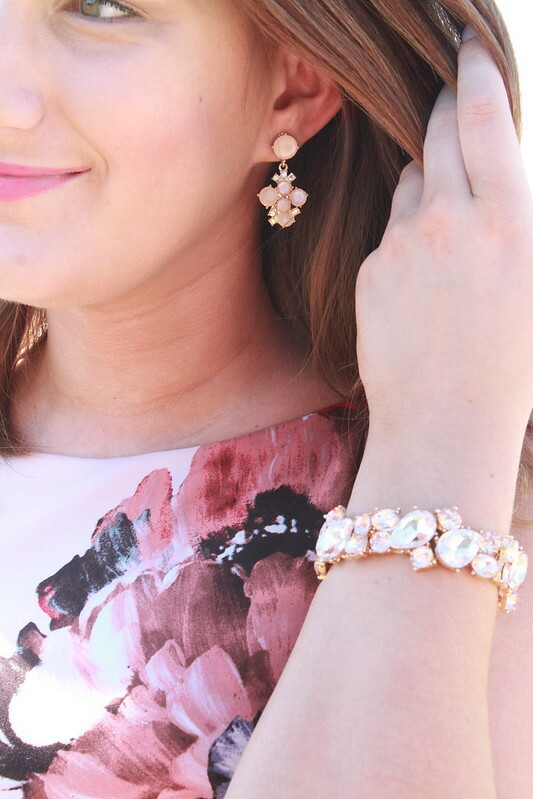 I ended up choosing these earrings and the bracelet at Versona to go with the dress and they played double duty by also being my jewelry in my besties wedding yesterday. 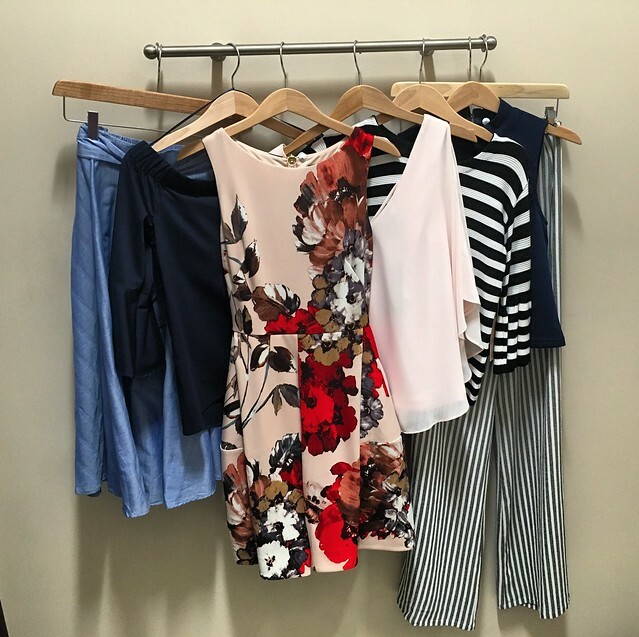 (You’ve got to love those versatile pieces!) I am not going to lie though, I still have my eye on a few pieces that I saw there and am planning on going back to get. The skirt was such a fun silhouette and a great length, so it is definitely on my list of items to get soon. (I mean, that bow detailing on the front is a dream!) I also am really loving the black and while striped bell sleeve top, I can picture wearing that to work in the summer sometimes with either slacks or a nice pencil skirt and could be easily transitioned into the night by changing out the bottoms for some cute white jeans or shorts. I also really loved the off the shoulder shirt. All to often this style is adorable but won’t stay off the shoulder, yet this one actually does stay, which would make it a great addition to the wardrobe. What are some of your favorite pieces in Versona’s Spring Look Book collection?